What I don't get, is if it starts at 1 am EST on tuesday, does that mean 10pm on monday night for west coast people? EDIT: NVM, here you go! 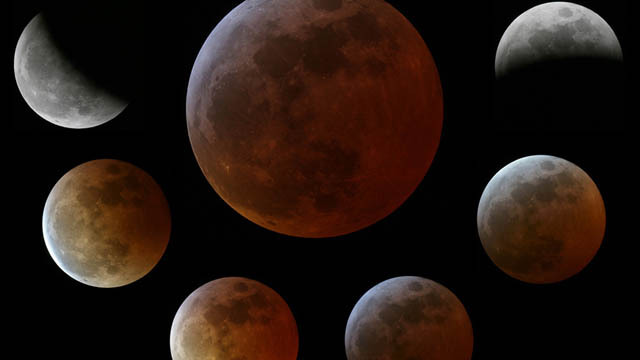 Re: Red Lunar Eclipse coming! Cool, the forecast doesn't look good for seeing it here, but here's to hoping. Sounds like an amazing photo opportunity! I drove my friends out to the boonies to see it. It was beautiful, I just wish I had taken a real camera. How many goats do you think were sacrificed last night? Too cloudy here to see it last night. Anybody get good pictures? I got some pictures. I gotta finish uploading them & sort them out.